In the quest for something that could fuel both our stoves and our imaginations, we decided to plant and grow a variety of willows to satisfy our own needs. Not only do we grow it here in our little corner of southwest Scotland, we also want to coppice it, harvest it, season it, dry it, carve it and weave it. 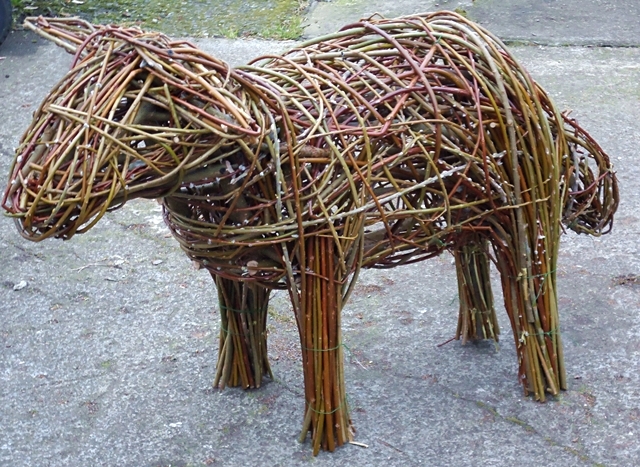 Willow is absolutely fabulous - it's quick and easy to grow, makes fantastic garden sculptures and can produce some handy firewood into the bargain.